While tools often don't take center stage in the average beauty routine, it is often the little back stage helpers that make all the difference in your appearance. Tweezerman specializes in beauty tools and is a well respected brand in the beauty industry. The Tweezerman brand stands behind the quality and effectiveness of its tools with a lifetime guarantee and a free Tweezerman sharpening program. 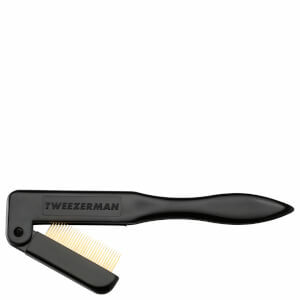 Tweezerman Tweezers allow you to achieve your perfect look easily and comfortably. Overgrown and bushy eyebrows can hide your natural beauty. Shape your brows to perfection with the help of a Tweezerman Tweezer. For the ultimate eyebrows, grab the Tweezerman Mini Brow Rescue Kit. 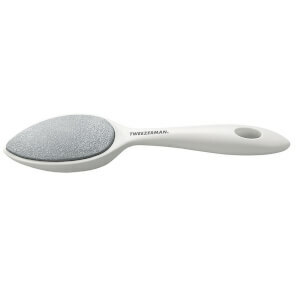 Check out the Tweezerman skincare tool for those with blemishes. The Tweezerman blackhead remover safely eliminates clogged pores. You can use the Tweezerman blackhead remover to improve the clarity of your skin and reduce the look of pore enlargement. The Tweezerman extractor is easy to use and offers a no slip design for good control. You'll enjoy the easy rollout that the Tweezerman blackhead extractor offers. Beautiful nails can also be easily achieved with the help of Tweezerman nail tools like the Tweezerman nail clippers and the Tweezerman cuticle nipper. You can also enjoy beautiful, glamorous lashes with the help of the Tweezerman Lash Curler. A flawless look doesn't come naturally--often, it requires the right combination of cosmetic products and tools to maximize your look. Tweezerman considers itself the beauty tools expert--with good reason. Tweezers are not the only offering from this high-profile brand--you can also purchase such products as eyelash curlers, brow scissors, and a brow rescue kit, all available at SkinStore. The Tweezerman brand has 30 years of experience in the competitive beauty industry and has established itself as the go-to brand for beauty tools. The brand is even popular among Hollywood clientele, with celebrity makeup artists and models using Tweezerman to create the perfect brow--and more. The brand strives to provide its customers with high-quality tools that are designed with attention to detail. With an emphasis on superior customer service as well, Tweezerman can arm you with the best tools to feel beautiful. The Tweezerman brand launched in 1980 with a sole focus--the company developed the Splintertweeze, which became instantly popular thanks to its effectiveness and precision. Over time, the company used this attention to detail to develop a range of other tools, all of which are equally effective and easy to use. If you're looking for beauty tools that can truly transform your appearance, look no further than Tweezerman. Hollywood's celebrities and models have relied on this brand to enhance their look. Now, you can enjoy the benefits of these tools as well. Explore what SkinStore has to offer, and enjoy the remarkable benefits of Tweezerman tools today. Fine craftsmanship and attention to specificity help define the Tweezerman Products, a collection of tools for all of those little daily tasks we use to manage our appearance: plucking an eyebrow here, resolving an ugly blackhead there. The Tweezerman Products constitute a valuable cosmetics tool chest; you don't want to go without these in your arsenal, so you have them ready at hand for the morning skincare routine or an unexpected mini-emergency. Remember all those moments at the bathroom sink or in the shower stall where you suddenly recognized a deficiency in your skincare products or your routine, a set of generic tweezers too clumsy to be effective, say, or a wall mirror that forces ungainly postures on your part to groom yourself? The Tweezerman Products render practical solutions to issues you didn't conceive of until the need unexpectedly arose. You'll appreciate the care and precision that went into these tools every time you use them. A set of tweezers or scissors may not be the first thing to come to mind when we consider our skincare needs, but having the right tools for the job, in the management of our appearance or any other engineering situation, is absolutely critical. The Tweezerman Products give you the power to get what you need done with the finest precision; they are intimate gear for intimate duties. Don't settle for shoddily manufactured generic equipment, give yourself the best with these high-quality creations. One of the hallmarks of the line is the Tweezerman Slant Tweezer, which has been justly lauded by the skincare industry over more than 25 years of its existence: In 2010, for example, it was an Instyle Editor's Pick for "Best Beauty Buy," and the next year it took an Allure "Best of Tools-Tweezers" award. Indeed, many honors have given it an impressive place in the Allure Hall of Fame. It's a best-of-class, stainless-steel tweezer, with hand-finished, precise tips for all your delicate needs. To solve some of your most pernicious problems, reach for the surgical-quality Tweezerman Ingrown/Splinter Tweezer, which can deftly pull out any offending material beneath the skin. It sports elongated, tapered tips for grabbing a firm hold on a miniscule irritant. Follow up such removal work with a disinfecting application of hydrogen peroxide. For jobs demanding the tightest precision, the Tweezerman Point Tweezer steps to the plate. Fashioned from stainless steel and brandishing hand-filed tips, this standout tool belongs in your medicine cabinet for opening pores and relieving ingrown hairs.